The word “sahib" has its roots in the colonial era: Its two syllables are enough to convey a clear picture of power and race relations in an imperial age. The word persists in Indian speech as a term of address or deference of low to high but even so, its usage in Khushwant Singh’s anthology, Sahibs Who Loved India, seems like a throwback to a world view that is too archaic. It is a title which, in 2008, incites a kind of belated postcolonial aggression. 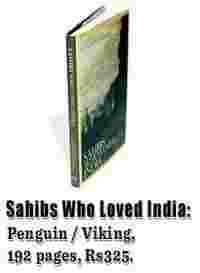 Who were these “sahibs"? And why should we care if they loved India? The point that Singh is trying to make, though, is that the two centuries of the colonial encounter were often marked, on the British side, by a dread of India, racial and social arrogance, a willingness to live in enclaves and deal in stereotypes. A small minority of British people either directly or indirectly connected with the empire went out of their way to understand and embrace Indian civilization on its own terms, and established a relationship with the land and its people that had a meaning independent of the overarching structure of colonialism. These independent-minded sahibs might be seen as redeeming, in some small measure, the sins of commission or omission of their compatriots. Even so, the language and tone of these essays on the subject “What India Means To Me" also give us the sense of taking a peek at documents from a time capsule. This is because they were all commissioned by Singh in the early 1970s, when he was editor of The Illustrated Weeklyof India. 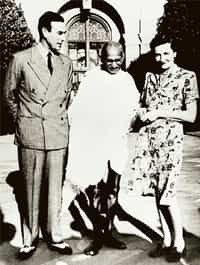 The writers were mainly British journalists, civil servants, engineers and architects who had served long stints in India both before and after Independence, but who, with the passage of time, have now disappeared from public memory. The problems with these pieces, especially as they stand in book form, are that, firstly, the quality of the writing is quite uneven, and secondly, they have a kind of clubhouse feel to them, as if they are all written by members of the same circle and read out over cream tea with scones. “(India) reminds me through her various tribulations of a great elephant shrugging off whatever elephants do shrug off," writes one respondent, the journalist Stanley Jepson, with delicious vagueness. Were he alive today, he would know from an authority no less than our own Shashi Tharoor that the elephant has turned into a tiger, and not just any old tiger but one that carries out all its dealings over the cellphone. Against this, several contributors demonstrate an impressive grasp of Indian landscape, society, and culture, and a sympathy towards Indian political aspirations. “I...found it difficult to accept the view of the school of thought that said, ‘Yes, of course India must be independent, but she is not ready for it yet’,’’ writes the journalist Philip Crosland. “Whenever I heard this dogma expounded I wondered whether we in Europe had ever been ready for our independence." Touché. The husband-and-wife pair of Maurice and Tanya Zinkin, a civil servant and a journalist respectively, did an enormous amount of travelling in remote parts of the country, and found themselves walking in and out of different eras of history. “As late as 1959," writes Tanya Zinkin, “I was telling tribals that India had been independent since 1947 and it once fell to me, in Telengana, to break the terrible news of Lenin’s death to a young activist." The process of being charmed, baffled and bested by India all at the same time culminates for one writer in his marriage to an Indian woman, “thus acquiring at one stroke some 210 Indian relatives" (all the fun of that observation is in the exact number cited). Several writers became so thoroughly acclimatized to the rhythms of Indian life that they chose not to return to England after their careers were over, preferring instead the company of old friends, discussions of the intricacies of Indian politics, and “the years turning over with that soothing certainty peculiar to a calendar marked by religious festivals". There are also many paeans here to Delhi and Mumbai and to the apparently exceptional warmth and friendliness of Indian people, reports of encounters with Pandit Nehru and Rabindranath Tagore, and reminiscences of tennis-playing and whisky-drinking. If this sort of thing works for you, then it’s just the right accompaniment for an afternoon in a hammock with your pipe or gin-and-tonic.